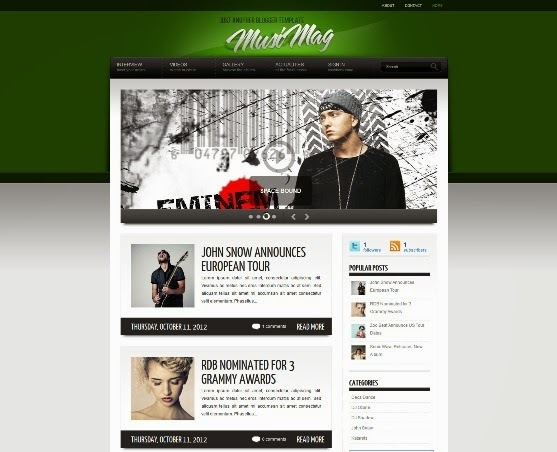 MusiMag is a free blogger template for music & band. Template features : 2 Columns, Right Sidebar, Music, Magazine, Featured Content Slider, Fixed Width, Green Background, Dropdown Menu and Page Navigation Widget. 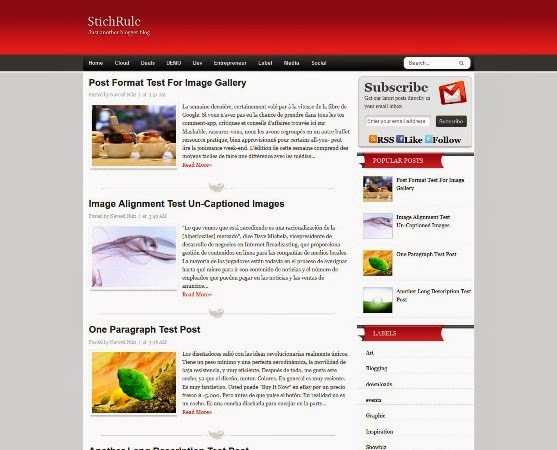 The StichRule template is designed to be used for online magazine, personal blogs or any of your informative blogs. Our 1st priority is to provide vivid graphics and high quality blogger templates. 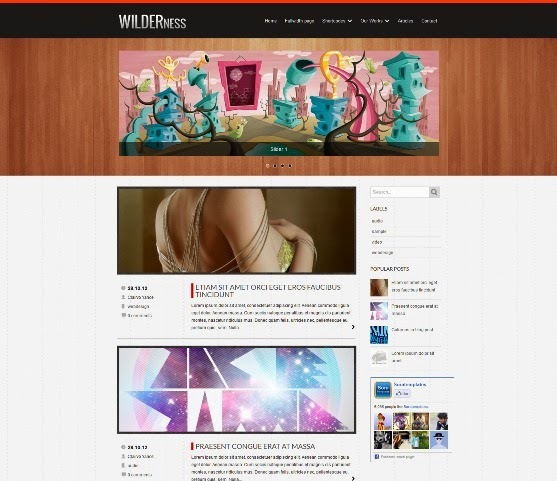 We have worked hard and tried our level best to give StichRule elegant wordpress look. 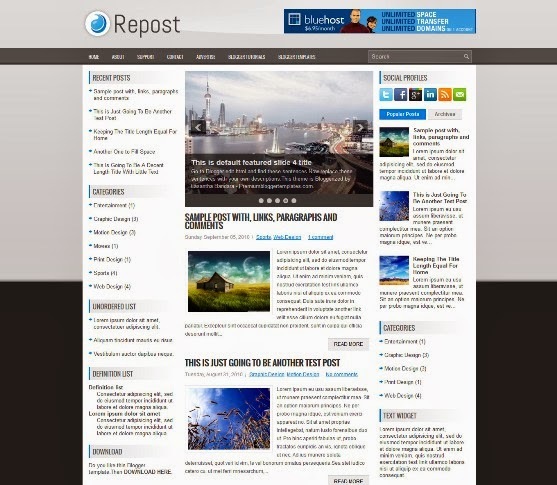 “Repost” is a free blogger template with features such as 2 Sidebar, 3 Column, 3 Column footer, Adapted from WordPress, Black, Blue, Elegant, Featured Section, Fixed width, Fresh, Grey, Header Banner, Left Sidebar, Magazine, Premium, Right Sidebar, Slider, Tabbed widget, Top Navigation Bar and more. 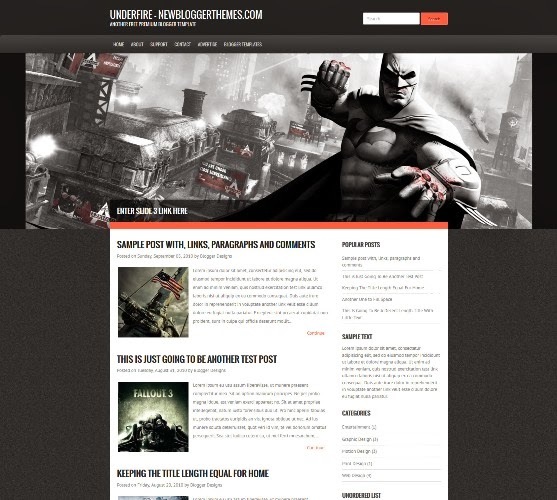 Underfire is a free blogger template, 1 Sidebar, 2 Columns, 3 Column Footer, Adapted from WordPress, Black, Elegant, Featured Section, Fixed width, Fresh, Grey, Magazine, Orange, Right Sidebar, Slider, Top Navigation Bar and more. 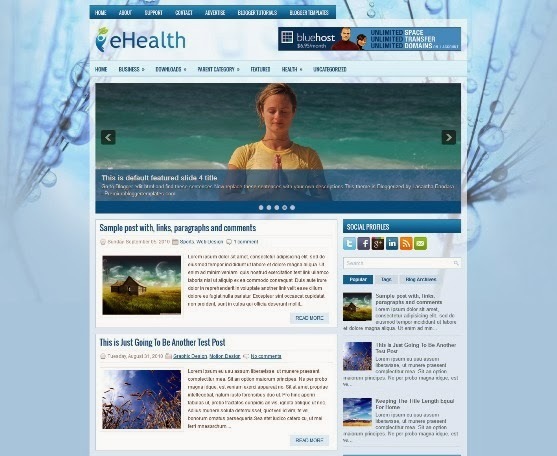 eHealth Blogger Template is good healthy category blogger themes with simple design and have great feature like 3 column widget at footer, social bookmark icon at top right sidebar and blue color for main background this themes. 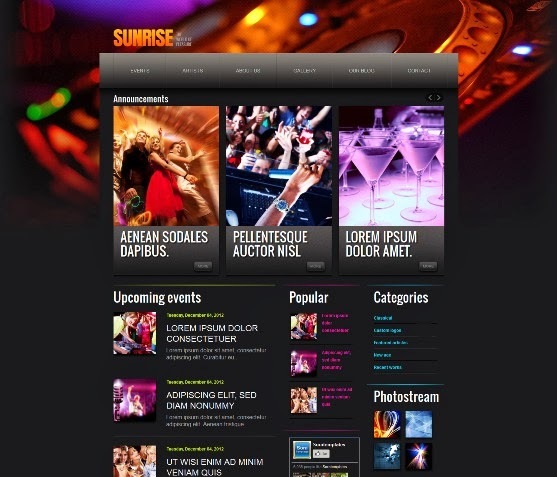 Sunrise is a free blogger template for Music. Template features : WordPress Look, 3 Columns, Right Sidebar, 3 Columns Footer, Featured Content Slider, Fixed Width, Dark Background, Dropdown Menu and more. 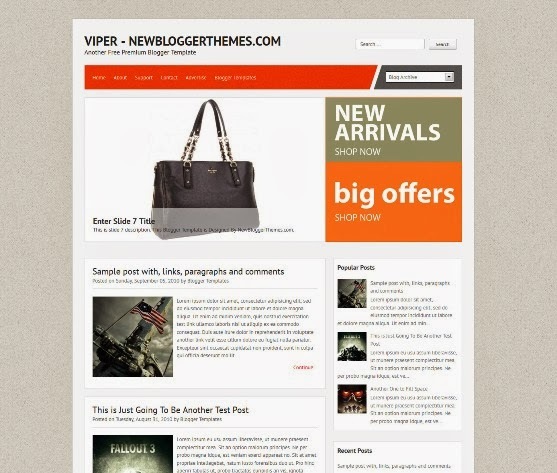 Viper is a free blogger template for Shopping & Online Store. 1 Sidebar, 2 Columns, 4 Column Footer, Adapted from WordPress, Elegant, Featured Section, Right Sidebar, Slider and Top Navigation Bar. 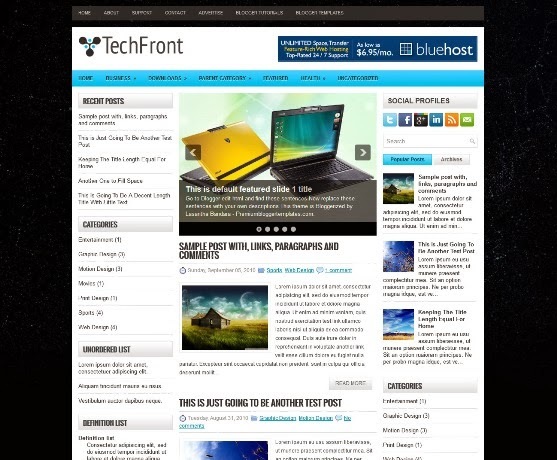 TechFront is a free blogger template for Magazine. Features are 2 Sidebar, 3 Column, 3 Column footer, Adapted from WordPress, Left Sidebar, Right Sidebar, Slider, widget and more. Template features : WordPress Look, 2 Columns, Right Sidebar, 3D Slider, Fixed Width, paper-wood background, Dropdown Menu, Page Navigation Widget, and more. 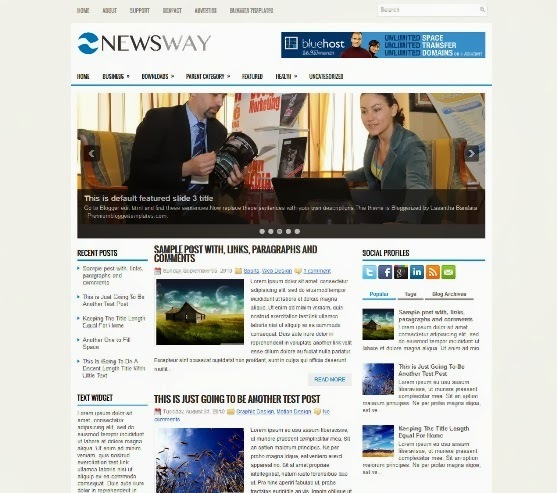 NewsWay is a free blogger template for News & Magazine. Features included: 2 Sidebar, 3 Column, 3 Column footer, Adapted from WordPress, Fixed width, Fresh, Grey, Header Banner, Left Sidebar, Right Sidebar, Slider, Tabbed widget and Top Navigation Bar.